Business decisions can end with unanticipated tax implications. Before making any costly mistakes, sit down with our team here at O’Dell & Company to see how we can help you to optimize your business tax structure to save you money, time, and stress. 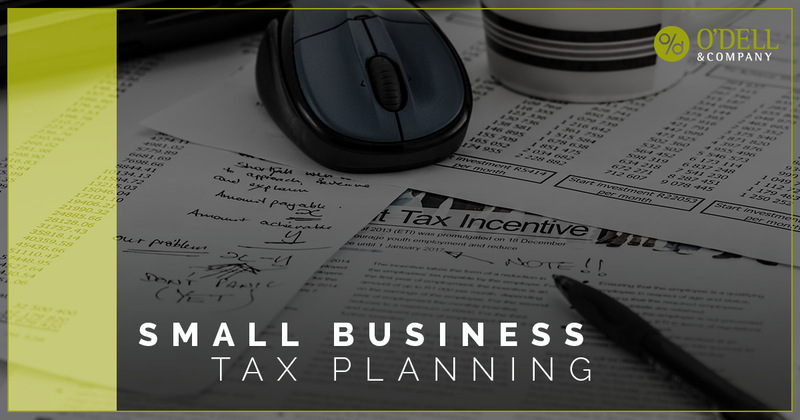 When you use our experienced small business tax planning team for guidance, you gain access to our experienced team of certified public accountants who can provide advice on what choices to make in order for your business tax planning endeavors to be a success. Our business tax planning team utilizes a solid understanding of the tax law to minimize your tax liability. At O’Dell & Co., we recognize that the recently passed tax laws may dramatically change your tax situation. That’s why we are continually furthering and refining our education about newly changed laws with particular emphasis on the new tax laws effective for the 2018 year. We pour over the changes to the law and implement changes to the strategies we recommend to our small and medium sized business clients. If you’re starting a new business, we can determine which business entity structure will bring the highest tax savings now and down the road. We also provide income tax planning for individual business owners and taxpayers and will find ways to reduce your income taxes so you can keep more of what you earn. Small business tax planning is just one of the many CPA services we offer at our Fort Collins CPA firm for businesses and individuals, both local and nationwide. Don’t let your business tax planning get handled by the wrong team. Allow our 30-year veteran team help your business today.